The Israeli military destroyed the home of a Palestinian youth who stabbed an Israeli settler and later was shot dead during the attack. The army reported that dozens of Palestinians had thrown stones, firebombs and pipe bombs at the troops, which in turn responded "with counterinsurgency". Mohammed Tareq Ibraham Dar Youssef, 17, entered the nearby Adam settlement on July 26 and stabbed three people. He killed Yotam Ovadia, 31, a father of two, and severely injured a 58-year-old man. A third injured man shot the Palestinian and killed him, the Israeli military said. Israeli Defense Minister Avigdor Lieberman said on Twitter Tuesday that he had made a promise to Mr. Ovadia's widow to quickly destroy the house, adding that tonight this circle was closed. " 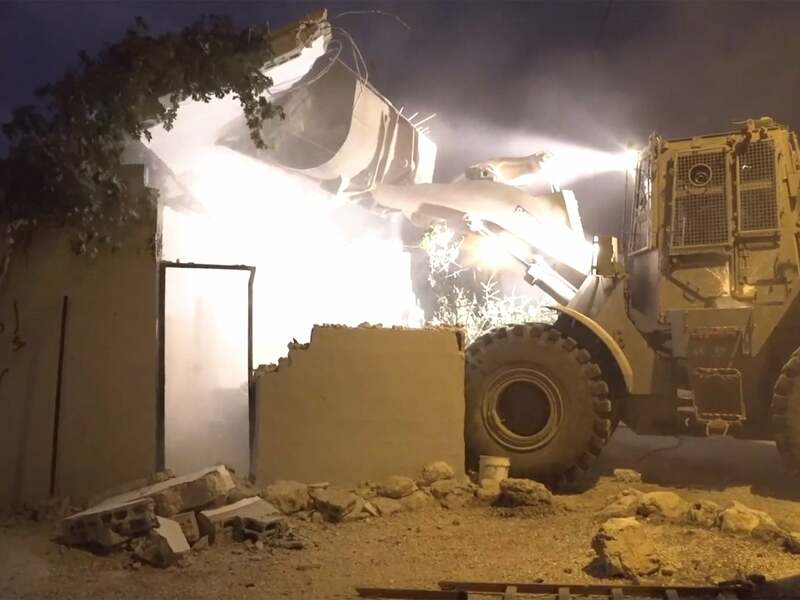 Lt. Col. Liron Appleman, commander of the battalion monitoring the operation, said in a video of the army that the demolition of the house was part of a one-month operation to" thwart terror "
" It's important to know that we will continue to work closely and accurately wherever we are needed, "he added. Dar Youssef's family, however, said that destroying their home meant" collective punishment. " Khaled Abu Ayyoush, Dar Youssef's uncle, said the teenager's parents, two brothers and two sisters had lived in the now-destroyed house and had learned nothing of Dar Youssef's intent to carry out an attack. "Why are they guilty? Israel's continued policy of collective punishment is merciless, "Abu Ayyoush said, adding that he did not consider that Dar Yosusef was under 18. A number of settlements in occupied territories are undermining their right to establish a state in the West Bank and Gaza, and the construction of settlements is illegal under international law. In Israel has plans for d Construction of 2,000 new settlement units in the West Bank and in East Jerusalem, including over 300 in Adam, developed Britain said they are "strongly opposed".